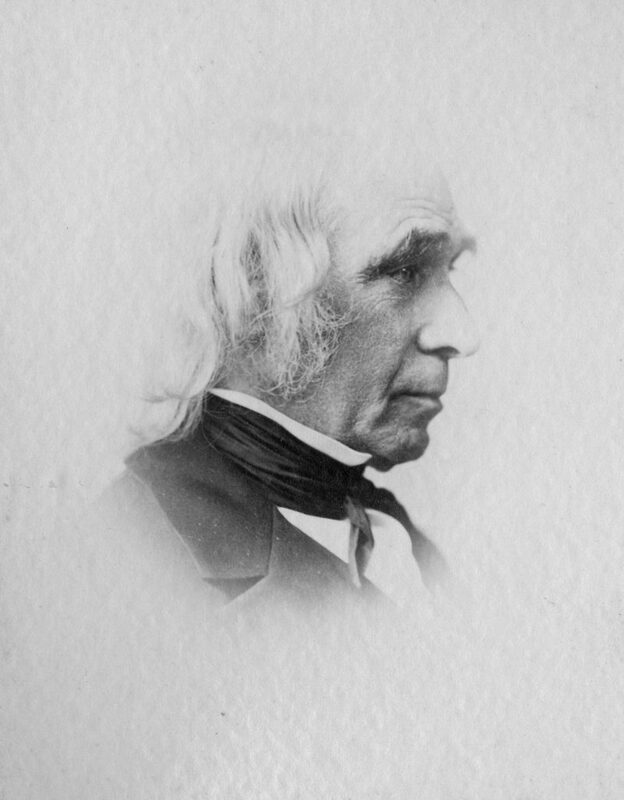 Born on November 29, 1799 on a farm near Wolcott, Connecticut, Amos Bronson Alcott came from humble beginnings. His father, Joseph Chatfield and his mother, Anna, had eight children, with Amos Bronson being the eldest. After Alcott’s formal education came to a halt at age thirteen, his dreams of attending Yale were also ceased. Despite these setbacks, Alcott still embraced his curious mind and became a self-educated reader and writer. While Alcott always held a passion for education, he initially struggled to find work as a teacher. He worked odd jobs, ranging from the clockmaking business, to being a traveling salesman. Alcott’s experience as a salesman provided access to the world around him, as he witnessed the horrors of slavery. This inspired him to join the antislavery movement, and to also embrace other humanitarian causes. Alcott moved to Boston after parting with a short-term but difficult teaching position in Connecticut. There, he met Abigail May, and the pair married in 1830. Together, they had four daughters: Anna, Louisa May (who went on to write Little Women), Elizabeth, and later Abby May. Throughout their married life, Abigail and Bronson moved from Connecticut, down to Pennsylvania, then back up to Massachusetts where he became involved in the Transcendental movement, alongside his friend Ralph Waldo Emerson. 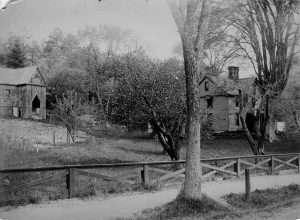 While being praised as one of the major influences in Transcendentalism, Alcott is also known for his unconventional teaching fundamentals, his experimental project “Fruitlands,” and founding the successful Concord School of Philosophy. Nature, poetry, life,—not politics, not strict science, not society as it is,—were his preferred themes. The world was holy, the things seen symbolizing the things unseen, and thus—worthy of worship, calling men out-of-doors and under the firmament for health and wholesomeness to be insinuated into their souls, not as idolators, but as idealists. His religion was of the most primitive type, inclusive of all natural creatures and things. A few years before Alcott’s death, the philosopher showed a group of Walden Pond bathers the spot where Thoreau built the famed hut and a cairn began, marking the spot with rocks and stones to memorialize the Concord surveyor. Because of the cairn, Roland Wells Robbins (1908-1987) located and excavated the hut’s foundation in 1945. After suffering a stroke in 1882, Alcott’s health deteriorated until he passed away on March 4, 1888. Alcott and his family are buried in Concord, Massachusetts in the Sleepy Hollow Cemetery.